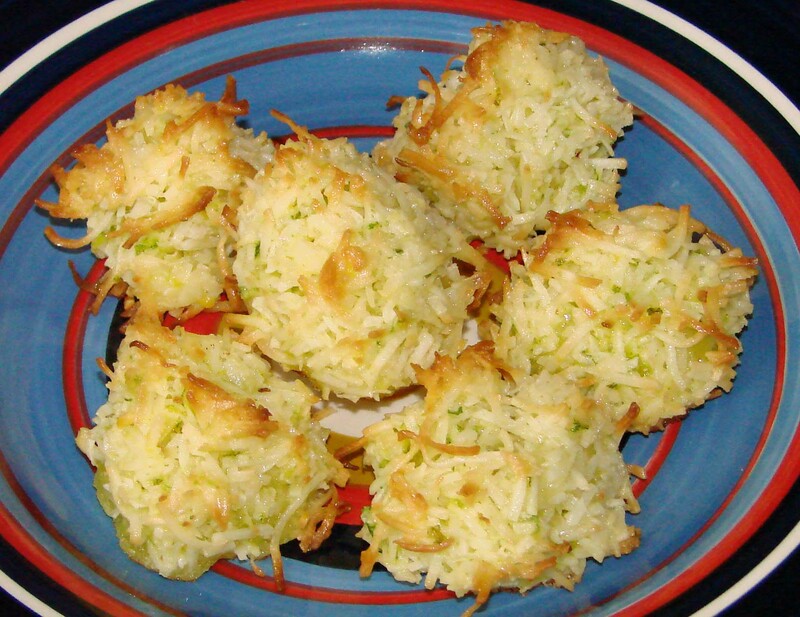 If you like macaroons or anything with lime then you’ll probably like these coconut peaks. You can add chocolate on top but I omitted it. It’s so yummy. In a bowl mix egg and sugar. Add coconut, lime peel and melted butter. Let the mixture set for 10 minute. Form the peaks using 2 spoons (or one spoon and fingers) and place peaks on a cookie sheet lined with parchment paper. Large peaks – bake for approx 10-11 min or until golden. Small peaks – bake for approx 7-8 min or until golden. If using – melt chocolate of your choice and dip bottoms of the peaks and let cool or drizzle chocolate on top of peaks. This entry was posted in Desserts. Bookmark the permalink. Looks absolutely yummy! Nice to see you food blogging again.